Having an old wood that you can reclaim to good use within your house is a good practice due to its unique aesthetic properties that comes along with its eco-friendly qualities. Old wood is becoming a highly sought-after material in the world of decorations and due to its popularity, artisans and designers around the world started to use recycled lumber to create various kind of unique items that can be used to decorate your house. If you have in your collection a patina of old hardwood, you can see for yourself as the old hardwood is defined by its imperfections produced by the many years of wear and tear. Due to these imperfections, the patina of old hardwood creates a rustic or even an elegant look, which is suitable to be adapted with a table or bench making the look more extraordinary. You can make the reclaimed wood’s patina as a center piece within your house and attach the old wood with a large piece which is functional to you and your family or even as an attention-grabbing display for your guest to enjoy its extraordinary look. For example, you can use gnarled branches as chandeliers, using a root ball as the base for your table and also using scraps from a job site as panel of your guestroom walls. Other items that you can use are antique pieces or souvenirs from all around the world that you collected from vacations can also be incorporated into your current furnishings. For instance, hand-carved angels purchased in Mexico is suitable to be placed at your fireplace setting while an old wood carvings from United Kingdom can be placed at the front door of your house. Another common usage of old wood is to make flooring with character that cannot be matched by newer type of woods. For example, you can make use of large timbers taken from old barns or industrial buildings as well as any unused large wooden structure. You can create and re-milled them into large, wide-plank flooring for your interior of your house. 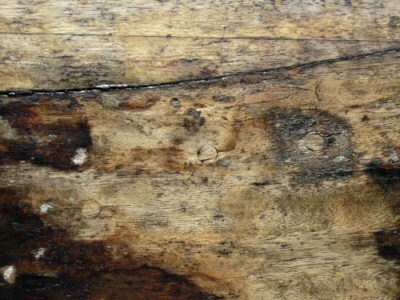 Apart from that, reclaimed floors like the Altruwood’s antique oak flooring would be able to provide you with character details such as nail holes produced by hundred-year-old nails used for the first time during the old days. By using reclaimed wood in your house décor, you would be able to create an environmental impact to your nature’s surrounding. We can saves the natural wood from being dump and it is one of the way of going green and saving the Earth. You can also use old wood for your siding. Unique reclaimed siding would be able to create an extremely fascinating look to your house. Larger reclaimed timbers that are still in good condition can be re-used as your ceiling beams in order to create the atmosphere of a mountain lodge or old Tuscan farmhouse. You can always save the earth by re-using an already-cut tree and keeping them away from being dump at the landfill. Even within your house surrounding you would be able to find old wood among your household items or even find reclaimed wood furnishings. For example, you can create coffee tables from your floorboards taken from your old gymnasiums which still have the free-throw line markings on it. You can look for railroad ties to make dining sets and also old wine barrels that can be turned into serving platters. Avoid using old paint on the old wood. Although it may look nice once you have painted the wood, it might contain lead. With advanced technology being used nowadays you can even print photographs on old wood flooring. You can either sell them or even use them as your wall hangings. You can also find neck ties being made from thin strips of reclaimed redwood. This entry was posted in Home Improvement on November 18, 2011 by Mike.